Cooking is cool these days – or at least that’s what an avalanche of television chefs would have us believe; fortunately for those who agree with this statement there’s now an online slot called Kitchen Run which features an insane-looking chef and lots of worried shellfish. Read our detailed review below to find out more about this Random Logic release. 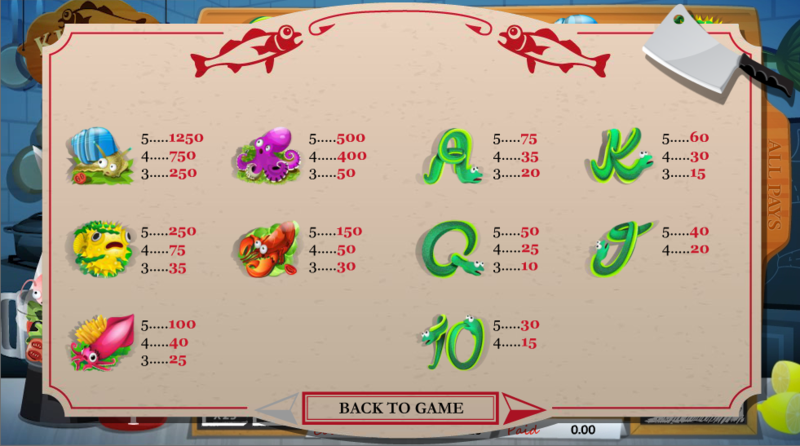 Kitchen Run is a five reel slot with four rows and a non-standard payline structure; wins can be formed as long as matching symbols are in adjacent reels starting from the left hand side. The reels spin on a wooden chopping board while to the left our moustachioed chef waves a knife around threateningly. The five high value symbols are the nervous ingredients – snails, an octopus, a puffer fish, a lobster and a shrimp; 10, J, Q, K and A represent the lower values. Note that the 10 & J require four symbols to create a winning combo, all others just need three. The wild is a pair of lobster claws and the scatter symbol is a plated fish which activates the main feature. A large shell is resident on reel three and if it lands there it will award a random win based on your line stake. The shell doesn’t appears during the free spins. 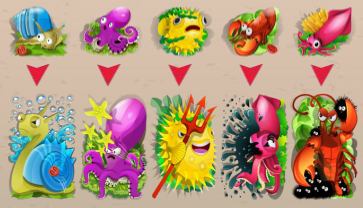 During the spins the five ingredient symbols expand in size to become much more menacing icons which cover the entire reel; this obviously increases the chance of bigger wins during this round. 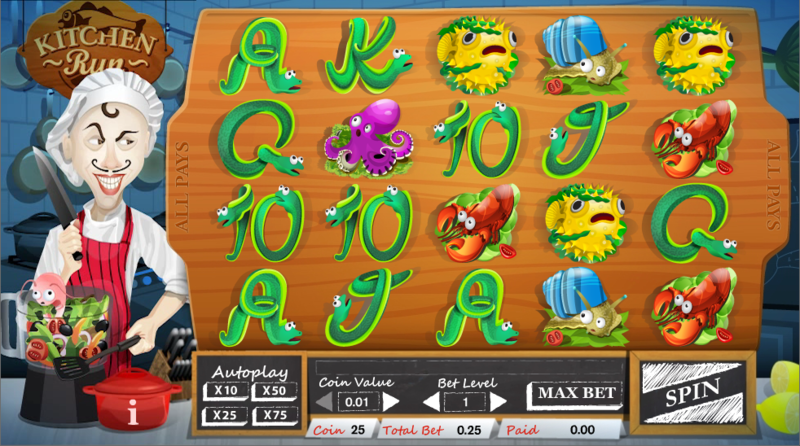 Landing three+ more scatters will trigger more free spins. Kitchen Run is quite good fun while not being outstanding; it looks and sounds good and the bonus features offer some creativity. There’s a slightly lowish RTP of 94.40%.